We cannot teach you to run. But we can make it easier for you. 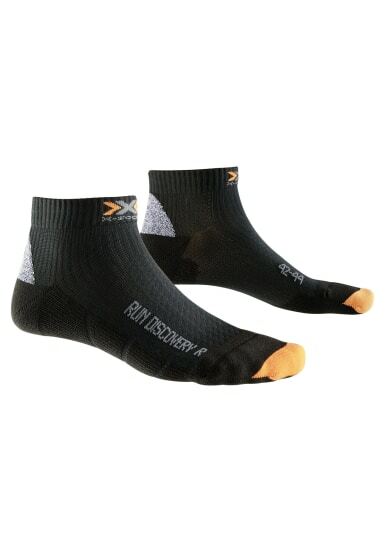 X-SOCKS Run Discovery 2.1 is a development of our time-tested X-SOCKS entry level model for runners with targets. Featuring the innovative X-Cross Bandage to support the sensitive ankle area, they provide effective protection against painful joint injuries. Thanks to their anatomically designed footbed and patented Air-Conditioning Channel, X-SOCKS Run Discovery keep your feet dry and fresh. A newly integrated ToeTip Protector and improved materials enhance the comfort of the socks.